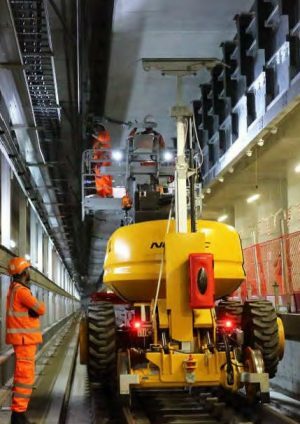 Three groups of workers were monitored; (i) Mobile Elevated Working Platform (MEWP) supervisor and operators, (ii) driver and shunters on a Class 66 Locomotive, and (iii) the crew of a ‘Madvac’ suction excavator. The primary purpose of the third deployment was to assess the performance of the tunnel ventilation system, which was disabled for maintenance during the first day of monitoring. Crews in each group followed a similar working pattern of briefing and preparation above ground, followed by the majority of the shift below ground. The analysis found that, on average, most workers were exposed to higher levels of black carbon when commuting to and from site, than while on shift. This was particularly evident where workers used underground sections of the London Underground or private vehicles. The lowest levels of exposure where while indoors (at home or site office) and while commuting on above ground rail. While the tunnel ventilation system was operational, workers were exposed to lower levels of diesel exhaust while below ground than while working above ground at the railhead adjacent to the tunnel entrances. When tunnel ventilation was switched off, exposure levels increase by a factor of 3 to 5, demonstrating the efficacy of the system. Short spikes in diesel exhaust exposure occurred amongst all workers,due to standing or working near vehicle or generator exhaust.This occurrence was more frequent in operators than foremen/supervisors and the impact was greater above ground than below, due to the active ventilation causing more rapid dispersion than natural wind. The locomotive driver had the lowest mean exposure levels due to the protective effect of his cab and position away from vehicle and machinery exhausts. This study did not identify any breaches of occupational exposure limits and worker personal exposure levels were shown to be at least comparative to or lower than those experienced by above ground professional drivers. However, the absence of any clear ‘safe threshold’ for black carbon exposure means that employer should be encouraged to minimise exposure levels of their workers to diesel exhaust. A series of recommendations are made based on study results to ensure continuing best practice in future projects incorporating construction activities in a tunnel environment. Dr. Ben Barratt is a Senior Lecturer at King’s College London. Ben joined King’s College London in 1998. His early research evaluated impact of policy interventions on London’s air quality, including the London Congestion Charging Scheme and Low Emission Zone. The focus of his current work is to better characterise individual and population-level exposure to environmental stress, how this relates to the health of susceptible population subgroups and methods of public health improvement. 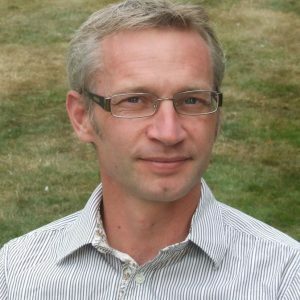 Much of his research output is in collaboration with international multidisciplinary teams ranging from social science and policy development, through to cohort and population health studies.